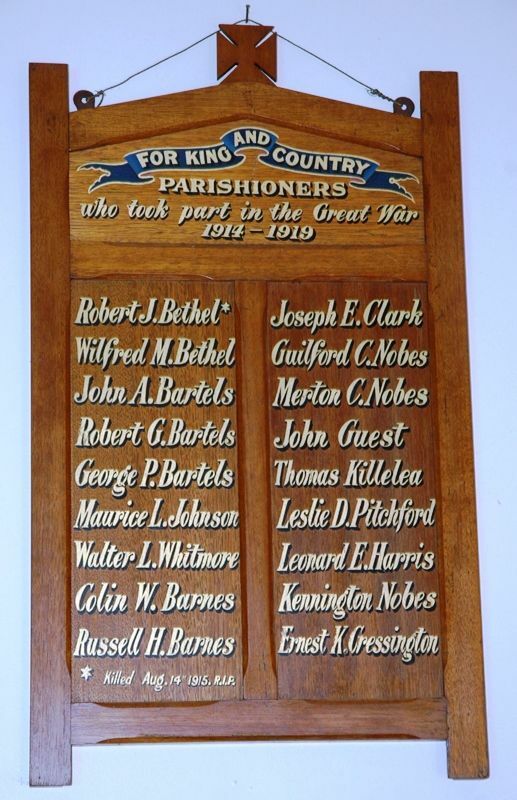 A wooden honour roll commemorates those from the Moorina District who served in World War One. It lists 18 names. Tt is believed to have been from the Moorina Anglican Church.